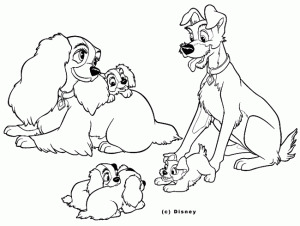 In Lady and the Tramp, you can see several breeds of dogs. 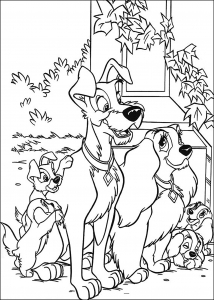 Discover some coloring pages of this Disney movie, released in 1955. It tells the story of a loving couple and their family pet from the dog's point of view.